Those who believe Muslim Brotherhood spiritual leader Yusuf Qaradawi doesn’t threaten Egypt — or the U.S. — should reconsider. The U.S. banned Qaradawi as a terror-sympathizer in late 1999, 1 yet his MB emissaries continue working to implement his brand of sharia in North America. Sharia criminal law, for example, demands and routinely applies capital punishment for apostates from Islam, 11 directly contradicting U.S. constitutional rights to freedom of faith. In late Sept. 2009, Former Muslims United sent polite, respectful requests to several dozen U.S. Muslim leaders, that they sign its Freedom Pledge to protect lives, property and rights to freedom of faith for all former Muslims. Pledge recipients included FCNA chairman Muzammil Siddiqi, 12 vice chair Muhammad Nur Abdullah, executive director Zulfiqar Ali Shah, executive council members Mohamad A. El Sheikh, FCNA executive trustee Jamal Badawi, Abdur Rahman Khan and Zainab Alwani and member Ishan Bagby. 13 All falsely attest to moderation. None replied. None signed. FCNA co-founder, former chairman and president Taha Jabir Alalwani — an unindicted co-conspirator in the case of admitted terror-financier Sami al-Arian 19 — on Oct. 13, 2007 signed “A Common Word,” a declaration of commonality purporting to tie Christians and Muslims more closely. Nevertheless, he supports Islamic law — including the death penalty for apostates. Very few website visitors pierce the facade 20 or recognize the MB goal — buying time to complete their North American conquest. That’s all it is. In April 2006, Abdullah and Badawi co-authored a fatwa encouraging Muslim proselytizing to Christians and Jews, but finding gross sin in Muslim conversions outside Islam.21 When scholars distinguish apostasy “not punishable by death,” from “apostasy… accompanied by … high treason,” Badawi wrote, the death penalty is still administered — for high treason. The distinction would not comfort the murder victims, in either sort of fiqh ruling. On Mar. 24, 2003 at Islam Online, Abdullah, Badawi and Siddiqi condoned “Seeking Martyrdom by Attacking US Military Bases in the Gulf,” a ruling of anonymous “muftis” mandating maiming and murder of U.S. troops in the Middle East. “[A]ttacking American soldiers who came to launch war against Muslims is an obligation and Jihad, as they are true invaders,” the fatwa commands. Such obligatory jihad, moreover, would deliver “the highest degree of martyrdom” to Muslims “killed” so doing: 24 Eternity with 72 virgins. Badawi, Hanooti et all remain highly suspect. Alysssa A. Lappen, an ACT for America contributing editor and investigative journalist, is a former senior fellow at American Center for Democracy (2005-2008); former senior editor of Institutional Investor (1993-1999), Working Woman (1991-1993) and Corporate Finance (1991), and writes for many print and internet publications. ACT for America commissioned this work. 1 Steven Salinsky, “Sheikh Yousef Al-Qaradawi and Qatar’s Education City — Hosting American University Students from Carnegie Mellon, Georgetown, Northwestern, Texas A&M, Virginia Commonwealth, Cornell & Others,” Middle East Media Research Institute, Feb. 19, 2010, http://www.memri.org/report/en/0/0/0/0/0/0/3984.htm and http://www.memri.org/image/IA_Qaradawi.pdf (viewed 2/5/2011). 2 “History of the Fiqh Council,” FCNA, 11/22/2010, http://www.fiqhcouncil.org/node/6 (viewed 2/5/2011). 3 Mohamed Akram, “An Explanatory Memorandum on the General Strategic Goal for the Group in North America, 5/22/1991,” www.nefafoundation.org/miscellaneous/HLF/Akram_GeneralStrategicGoal.pd f (first viewed 9/18/2007). 5 Taha Jabir Alalwani, “Towards a Fiqh for minorities: some basic reflections,” occasional paper #10, (International Institute of Islamic Thought, 2003), pp. 44; Abu Amal Hadhrami, “Muslim Americans need own outlook,” Islamic Horizons, Jan./Feb. 2000, pp. 48-53.
http://web.archive.org/web/20071212175822/www.fiqhcouncil.org/Default. aspx?tabid=60 (viewed 2/5/2011); Alalwani “Towards a Fiqh for minorities: some basic reflections,” occasional paper #10, (International Institute of Islamic Thought, 2003), pp. 44; Hadhrami, “Muslim Americans need own outlook,” Islamic Horizons, Jan./Feb. 2000, pp. 48-53. 7 Yusuf Talal DeLorenzo, “Fiqh and the Fiqh Council of North America,” Islamicity, undated, http://www.islamicity.com/politics/shariah.htm (viewed 2/5/2011). 2/21/2011); http://www.djindexes.com/islamicmarket/?go=supervisory-board (viewed 2/21/2011); “Yusuf Talal DeLorenzo, Chief Shariah Officer and Board Member,” Managing Team / Shariah Supervisory Board, Sharia Capital, undated, http://www.shariahcap.com/about-mt-delorenzo.php (viewed 2/21/2011). 9E~ATpl~Ecommon~Scontent.html (viewed 2/3/2011); Taha Alalwani, “Prolegominato (sic, intended ‘prolegomenon’) the Fiqh of the minorities: Some basic reflections,â€ undated, Islam Online, http://web.archive.org/web/20071212175822/www.fiqhcouncil.org/Default. aspx?tabid=60 (viewed 2/5/2011), a preface; and Alalwani, “Towards a Fiqh for minorities: some basic reflections,” occasional paper #10, (International Institute of Islamic Thought, 2003), pp. 44; Abu Amal Hadhrami, “Muslim Americans need own outlook,”Islamic Horizons, Jan./Feb. 2000, pp. 48-53. 10 Hadhrami, “Muslim Americans need own outlook,” Islamic Horizons, Jan./Feb. 2000, pp. 48-53; see also abridged article, available at http://members.fortunecity.co.uk/waseem/fatwa.htm (last viewed 2/20/2011). Qardawi/dp/8171513735/ref=sr_1_1?ie=UTF8&s=books&qid=1253238796&sr=8-1 ; Abul ala Mawdudi, “Punishment of the apostate according to Islamic law,” 1963, translated from Urdu 1994,http://answeringislam. as cited at http://formermuslimsunited.americancommunityexchange.org/apostasy-from -islam/al-azhar-fatwa/ (all fatwas first viewed 9/24/2009) as cited by and with thanks to Nonie Darwish, co-founder, Former Muslims United, http://formermuslimsunited.americancommunityexchange.org/. 12 “Muzammil Siddiqi, past president,” ISNA, http://www.isna.net/ISNAHQ/pages/Muzammil-Siddiqi.aspx; “About us,” NAIT, http://www.nait.net/NAIT_about_ us.htm (all viewed 5/25/2010). 13 Former Muslims United cover letter and Freedom Pledge, Sept. 22, 2009, http://formermuslimsunited.americancommunityexchange.org/the-pledge/co ver-letter-pledge/ (first viewed 9/22/2009). board of directors,” http://www.isna.net/ISNAHQ/pages/Board-of-Directors.aspx (viewed 6/10/2010). 17 “Yusuf al-Qaradawi in Friday sermon at Cairo’s Tahrir Square: pray for conquest of al-Aqsa,” Feb. 18, 2011, http://www.memritv.org/report/en/5020.htm, as cited, Bostom, “For the De-Nile-ists, Qaradawi-Khomeini in Cairo,” Feb. 18, 2011, http://www.andrewbostom.org/blog/2011/02/18/for-the-de-nile-ists%E2%80 %94qaradawi-khomeini-incairo/ (both viewed 2/18/2011). 19 “Fiqh Council of North America (FCNA),” Investigative Project, undated, http://www.investigativeproject.org/FCNA-CAIR.html (viewed 2/5/2011). Al-Arian funded Palestinian Islamic Jihad (PIJ), a designated foreign terrorist organization. To avoid a new trial after a jury deadlocked on 9 of his 17 terror-funding charges in Dec. 2005, al-Arian accepted a 57-month prison sentence, to be followed by immediate subsequent deportation. However, in Oct. 2006, al-Arian defied a subpoena to testify before a U.S. grand jury. He served an added year for contempt and was released on bail, and under house arrest, in Apr. 2008. Meanwhile in Jan. 2008, the 11th Circuit Court of Appeals ruled that the Apr. 2006 plea agreement contents did “not establish that the plea agreement immunized al-Arian from future grand jury subpoenas.” Despite that ruling, endless further court wrangling ensued over the terms of al-Arian’s Apr. 2006 plea deal. To date, al-Arian apparently remains under house arrest. “U.S. to deport Palestinian it failed to convict,” New York Times, Apr. 15, 2006, http://query.nytimes.com/gst/fullpage.html?res=9A0DE5D9163FF936A25757C 0A9609C8B63 (first viewed 4/15/2006); “Judge cancels al-Arian hearing again,” IPT News, Oct. 29, 2010, http://www.investigativeproject.org/2286/hearing-may-determine-fate-of -al-arian-contempt (viewed 2/9/2011). 20 “A common word,” Oct. 13, 2007, http://www.acommonword.com/index.php?lang=en&page=signatories; see also comments at http://www.acommonword.com/index.php?lang=en&page=comments (both viewed 6/2/2010). 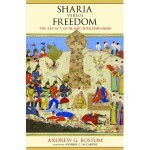 Ask_Scholar/FatwaE/FatwaEAskTheScholar&cid=1119503547720 (viewed 6/10/2010); Freedom_of_Belief_&_Minoirity_Rights_In_Muslim_Countries_ISLAMONLIONE_ 4.18.2006. 22 “Terror friendly organizations issue fatuous fatwa against terror,” Pipeline News, Jul. 28, 2005, ibid. faaffid102003.pdf (p. 36, now unsealed, viewed 2/16/2011). Ask_Scholar/FatwaE/FatwaE&cid=1119503546700 (dead link) see: Martyrdom fatwa (viewed 6/13/2010). Los Angeles Times, Nov. 25, 2008, http://articles.latimes.com/2008/nov/25/nation/na-muslim-charity25 (viewed 5/20/2010); Convicted HLF officers included former HLF chairman Ghassan Elashi, former chief executive Shukri Abu Baker, Mufid Abdulqater, Abdulraham Odeh and Mohammed El-Mezain. Two more former HLF officers, Haitham Maghawri and Akram Mishal (cousin to Hamas chief Khaled Mishael) had fled and were not tried. 26 Attachment A, in the U.S. District Court for the northern district of Texas, Dallas Division, U.S. v. Holy Land Foundation, http://www.pipelinenews.org/images/2007-05-29-US%20v%20HLF-ListCoConsp irators.pdf (first viewed 6/1/2007); “History of the Fiqh Council,” FCNA, 11/22/2010, http://www.fiqhcouncil.org/node/6 (viewed 2/5/2011); Steven Emerson, “The American Islamic leaders’ fatwa is bogus,”Counterterrorism Blog, Jul. 28, 2005, ibid. 28 Paul Sperry, “The great al-Qaeda patriot,” Front Page Magazine, Apr. 9, 2007, http://archive.frontpagemag.com/readArticle.aspx?ARTID=26058 (viewed 5/2/2007). 29 U.S. Plaintiff-Appellee v. Holy Land Foundation for Relief and Development, et al, Defendants North American Islamic Trust, Movant-Appellant, No. 09-10875, Before Garza and Benavides, Circuit Judges, and Crone, District Judge, 5th Circuit Court of Appeals, Oct. 20, 2010, http://caselaw.findlaw.com/us-5th-circuit/1541806.html (viewed 11/25/2010).